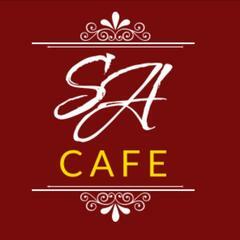 SA Cafe is new to the Upper Darby restaurant scene giving guests an unparalleled journey through a fusion of Afro-Caribbean cuisine and American dishes in a lively and upscale atmosphere with live entertainment most days. Your culinary adventure starts from the moment you walk in as you are greeted by a friendly staff and aromas wafting from our freshly prepared dishes. With a menu served all day catering to lunch, and dinner, you will have no shortage of options to satisfy your culinary explorations. Join us for our weekly events like All You can eat Crab legs every Monday from 6pm to 9pm , followed by Monday Gospel night. We also have reggae, karaoke or salsa nights, and for your next special event look no further for a host sure to make your next gathering a true delight. Come eat the food that make Africans strong and perhaps you will be stronger! Go upstairs and for Egusi soup with pounded yam or jollof rice or go downstairs to our lavished ultra modern lounge and enjoy as you dance and listen to Afrobeats every Saturday night, Hip Hop First Friday and more. Make reservations on this website or book venue for your next events.